This has been a GREAT year for new collections! 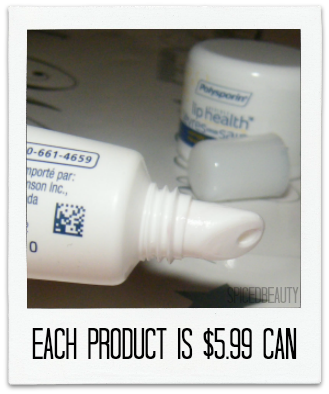 these products and share them with you. Deep brown girls rejoice! There was an amazing BB cream made for us this year! I can never express how excited I was to finally be apart of this movement. There is a great Canadian product which I actually finished within a month. 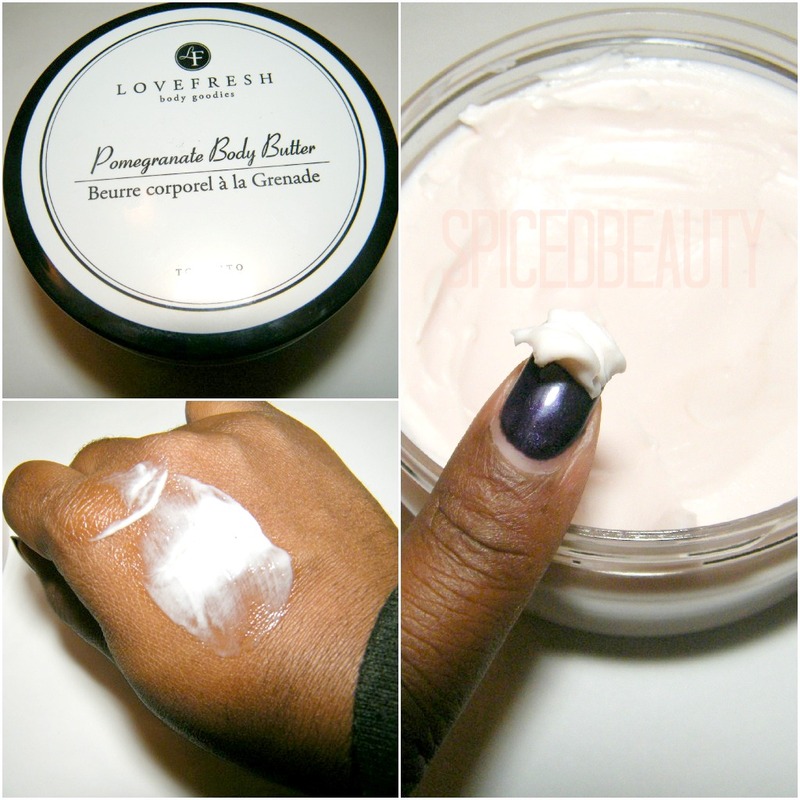 Perfect color for EVERY skin tone! These are a life saver! Probably one of the best nail strips I've tried. 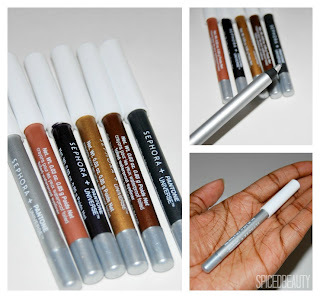 Pigmented, long lasting, waterproof & creamy! Get every color if you can! 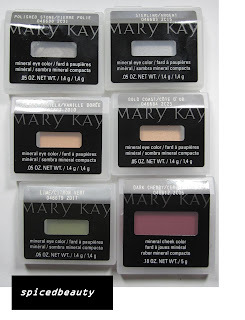 If you haven't tried Mary Kay, you're missing out! It's such a great line that has something for everyone. I'm always amazed how pigmented and silky their shadows are. I've said this once and I'll say it again: This is liquid gold! One the best highlighters I own! 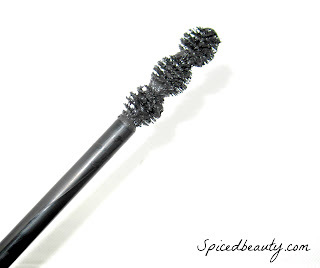 This an amazing high-end mascara which does everything it claims. Intense volume, strong curl, infinite length, and complete lash care. I love these because they are small enough to fit in my purse. 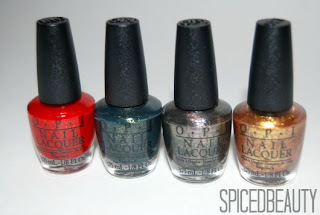 Another great collection by OPI! Why is it my favourite? 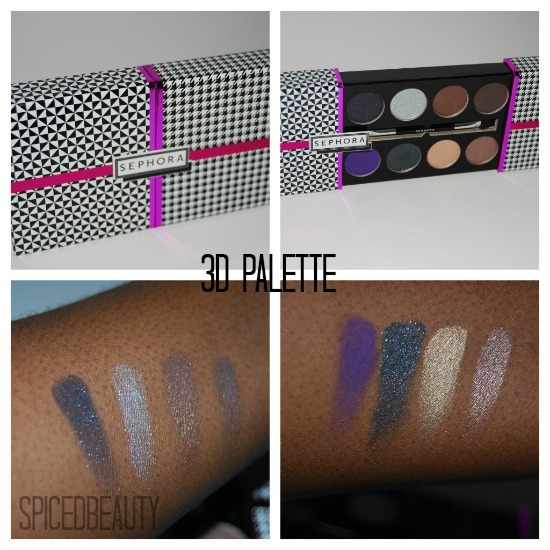 Just check out the swatches! 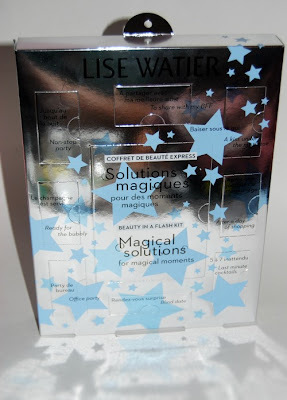 There were so many other products that deserve attention but these were my favourites. 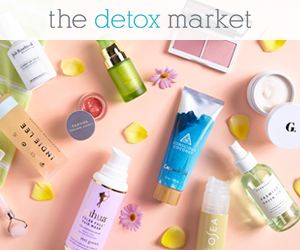 Let me know if you you tried any of these products before! New Years Eve is a few days away! I know that not everyone is going to dive in for that midnight kiss- some people may just be going out with a group of friends. Either way your lips should be ready for any close up. Whether it's with another pair of lips or a camera! Are you looking for something to improve lip heath in a short amount of time? 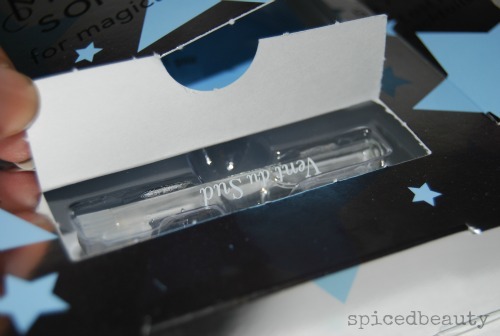 Check out Polysporin’s Visible Lip Health- Day & Night products! Back to kissing- Did you know..? I know when my lips are chapped, I feel really self conscious. I wonder if anyone noticed or how long it was chapped for. Women are more likely than men to feel uncomfortable (75% vs. 63%), embarrassed (15% vs. 10%), and frustrated (13% vs. 9%). Similarly, Canadians between the ages of 18 and 44 are more likely to feel embarrassed than those over the age of 45 (18% vs. 8%). In each case (excluded the feeling of helplessness), those who have avoided kissing due to chapped lips and those who would kiss more if they had softer or healthier lips are more likely than others to have felt a negative emotional impact. 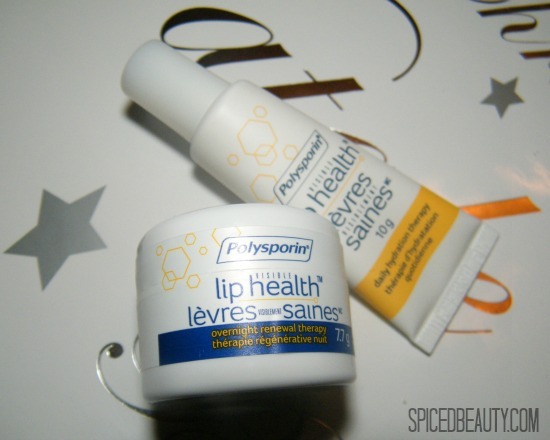 So far I've been wearing both of these Polysporin’s Visible Lip Health products and loving it. Fifteen Centimeters of snow has landed in Ontario last night. With the extra cold, I know that my lips will be prone to chapping. 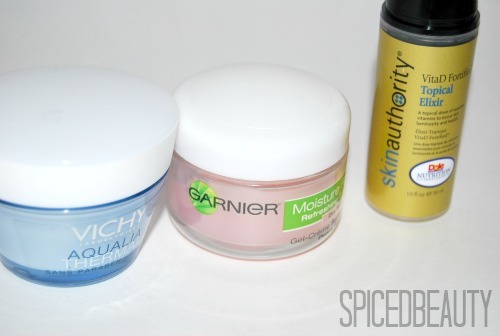 The number one way to avoid flaky lips is to hydrate them! My favourite thing about the daytime formula is how quickly it absorbs moisture into my lips. Will you be going in for that midnight kiss? I hope that your days are filled with happiness and hopefully you got everything that you wanted! 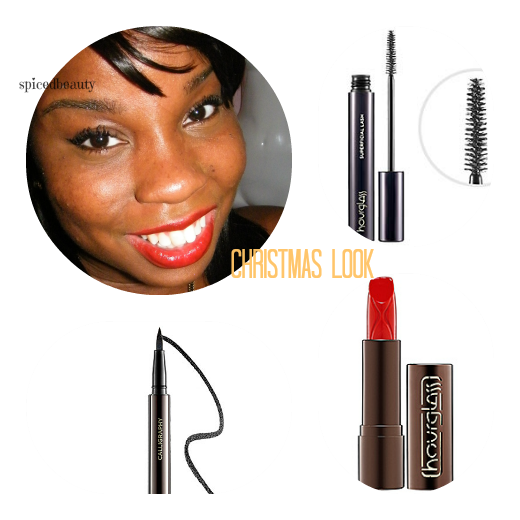 My Christmas look was very simple! 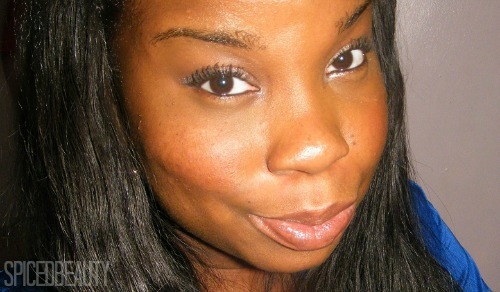 The emphasis was on my eyes & lips. A moisturizing water- and smudge-proof felt-tip liquid liner that contours and lines the eyes with precision. 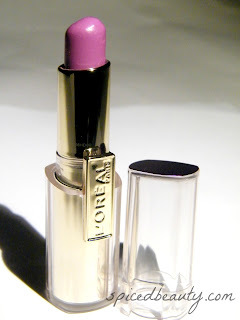 A lustrous, cream formula lipstick that hydrates and softens lips. One of my top five favourite beauty brands has to be Make Up For Ever. They have something for EVERY skin tone. 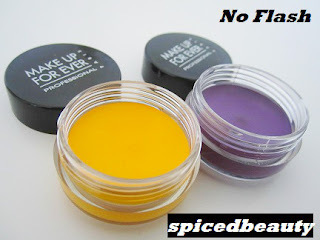 Plus their products are vibrant and always pigmented. I was lucky to get my hands on a Limited Edition All Eyes On You Set. I had a holiday work at lunch and I had no idea what look to do. I decided to try out their directions Soft Shimmer Look! It's the perfect option for someone like me who doesn't a lot of wear makeup to work. 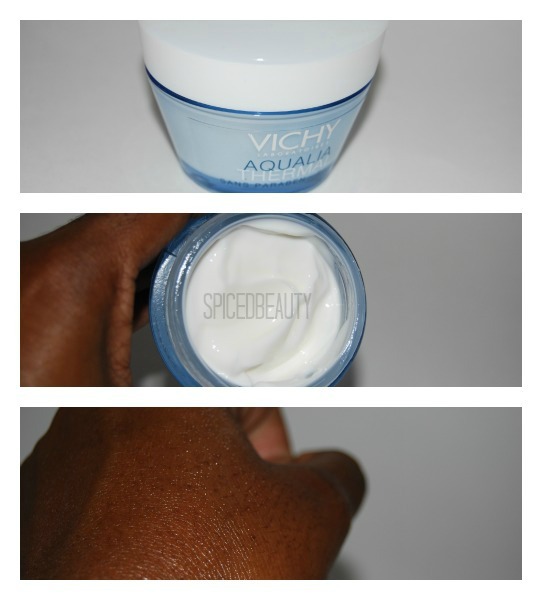 Apply Aqua Cream #16 across the eyelid from the inner to the outer corner. 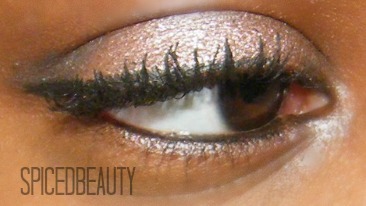 Using Aqua Eyes #21L, line the upper lash line and smudge to soften. Apply Smoky Lash mascara to the top lashes in a zigzag motion. Finish with HD Microfinish Powder. I did almost everything above but I added a few modifications. Just to define my eye a bit more I used Aqua Eyes in Mat Black 0L (black) to line my top and bottom lid. 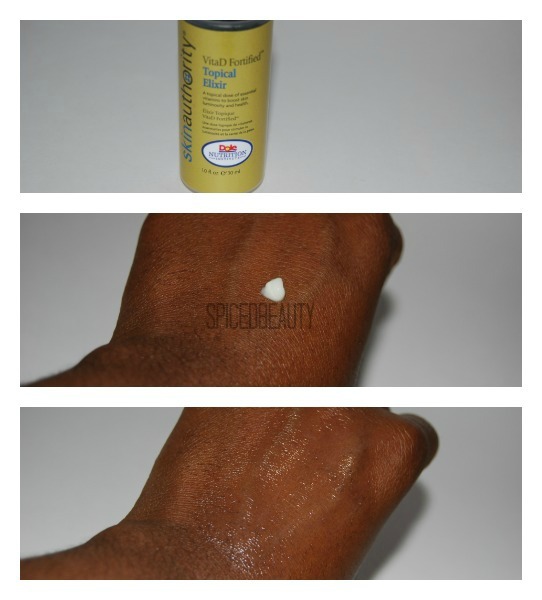 I then applied Aqua Cream #16 on my lips and added a clear gloss over it. I finished of the look with the Make Up For Ever HD foundation in 178. I'll be 100% honest and tell you that I never wear pink eye shadows. 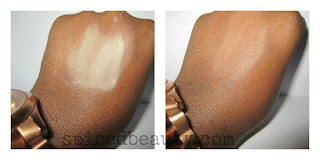 I don't like how it looks on my skin tone but Aqua Cream #16 looked great on me. It kinda reminded me of a rose gold more than a pinky beige shimmer. This set is sold at Sephora and is originally $65 but now it's currently on sale for $50! Take a look in your closet, how many blazers do you own? Would you believe that I own over twenty different blazers! YES.. you heard me correctly! I understand that twenty may be excessive to some but I'm a strong believer that every girl should at least own one great blazer. Whether it's cropped, boyfriend or tailored cut. A good blazer is perfect to throw on to jazz up any outfit. Have you ever walked into a store and found a blazer that fit you like a glove! That's how I felt when I walked into Express Canada. I found a blazer that didn't need to be cut or tailored and also complimented my skin tone. I know that this this cheesy but I honestly feel like this blazer was made for me! This picture was taken right after my movie date with my boyfriend. Adding a deep coloured wine blazer was the perfect item I needed to break up my all black outfit. It was definitely the focal point of my outfit. My favourite thing about the jacket is the different colored lapel, material and length. I can admit it, I'm short. I didn't need to cuff this blazer a lot because the arm length was perfect. 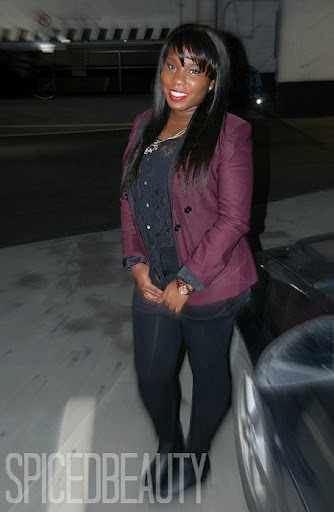 If I wore this blazer out for New Years Eve, I would pair it with a cute sequin dress! It's hard to see but I wore these awesome Covered Wedge Bootie which is also from Express. I love this shoe because it has a hidden 2" wedge heel. 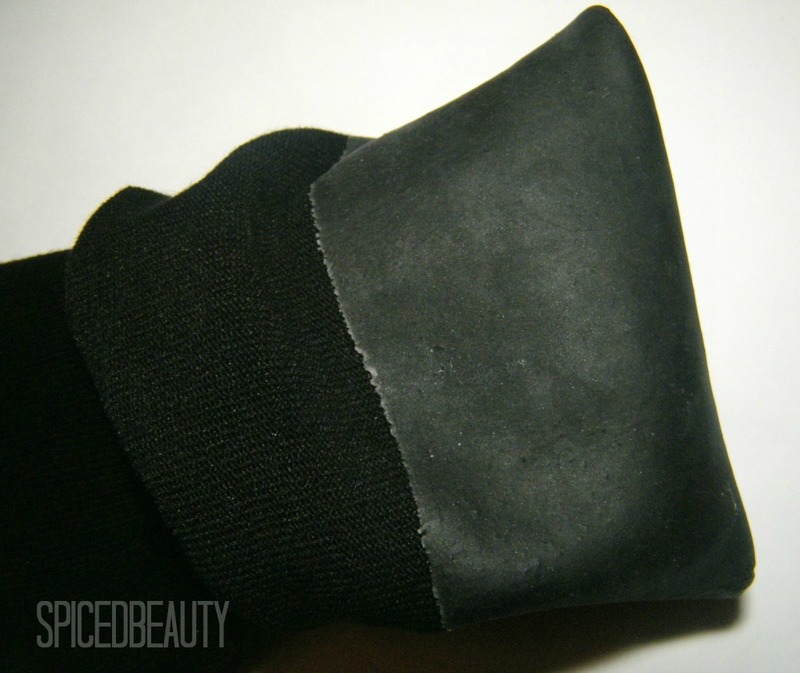 It zips at the side and has a skid resistant outsole. Perfect for the Canadian winters! Are you looking for outfit inspiration for the holidays and still need some assistance picking out a gift? 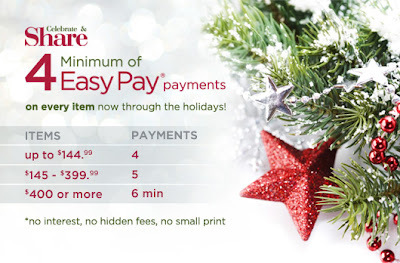 Check out Express holiday catalog & gift guide. We all know that Sephora is the go-to place for beauty, skin care, hair.. etc. Sometimes I walk in and I don't even know where to start! Well I'm going to point you in the right direction. 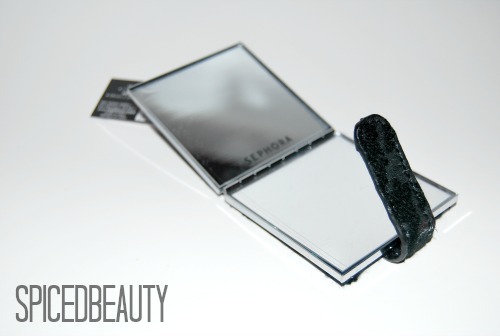 I've always been a fan of Sephora brand products. 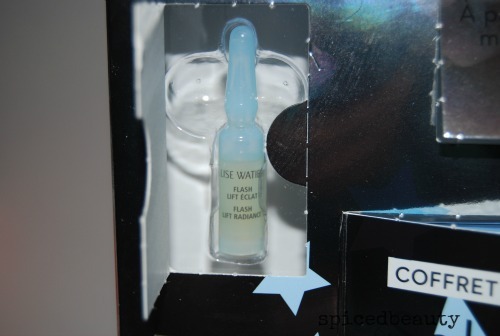 They are like the hidden gems of Sephora. 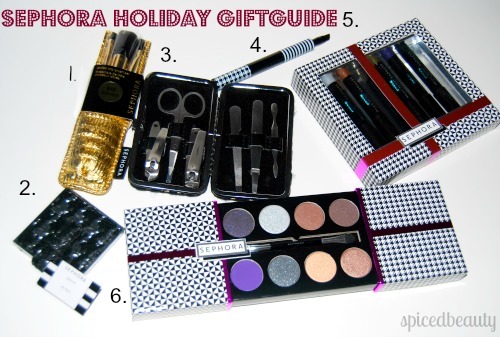 Check out my top 6 picks for Christmas. 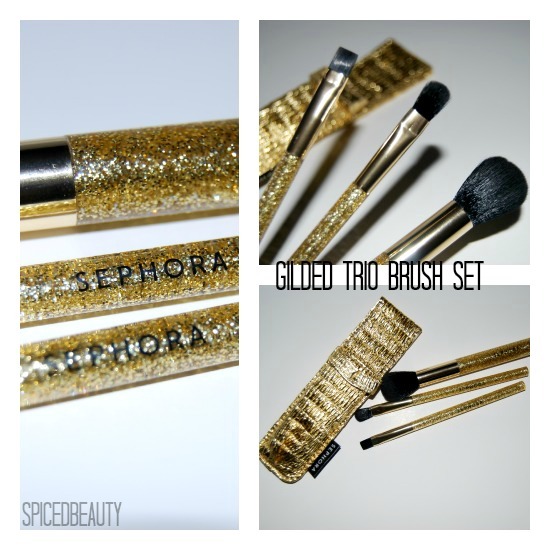 Add a splash of gleaming gold to your makeup collection with this set of travel-friendly brushes. The dazzling gold handles are easy to hold and the crackle case promises to protect the set while you travel. A compact mirror adorned with a soft and shimmery houndstooth pattern. 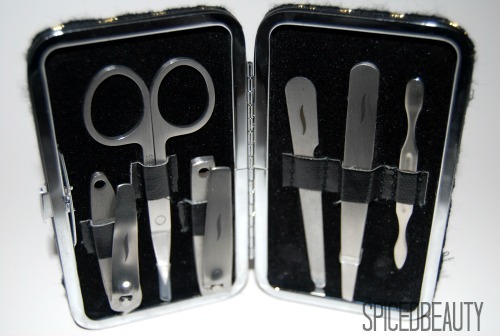 contains all the tools you need for flawless nails all season long. precise application. Leave your full brush set at home. 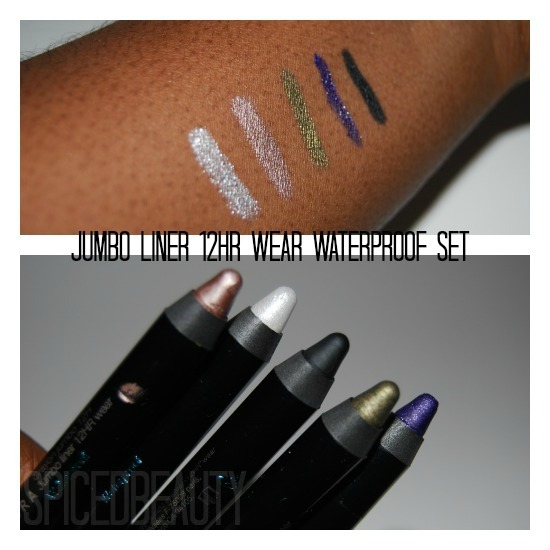 Use these ultra-pigmented jumbo eye pencils as eyeliner or blend out color in place of eye shadow for a stunning finish. The beautiful, high-payoff shades promise long wear for all-night glamour. This limited edition palette features eight highly pigmented eyeshadows in the must- have shades that take you from day to night, all housed in a fashion forward gift box. 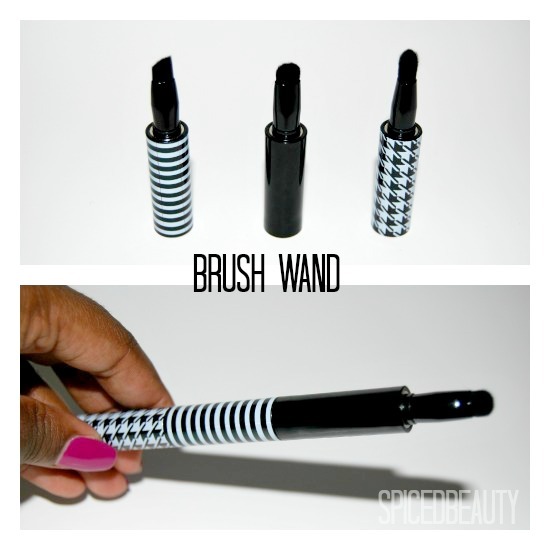 Use the double-ended brush for precise application and create endless beauty looks. 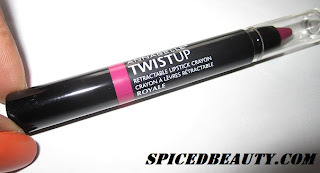 Everything here gets the Spiced Beauty seal of approval! I can't believe the holiday's are already here! It seems like yesterday, I was in June and I was celebrating my birthday in Dominican Republic. I really need a vacation *sigh*.. Is it just me or do you feel like in the summer everything is perfect. Perfect skin, hair, body.. my list can go on and on. Now I have to work a little harder to make sure that everything is perfect. 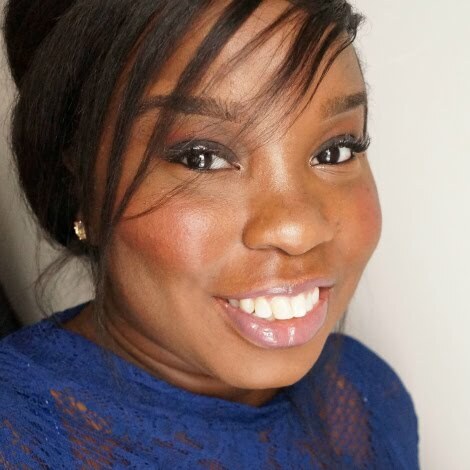 As a Canadian Beauty Blogger, I compiled a little list of awesome Canadian products which may help you get prepped for the holidays. BIO LIFT EYE PATCH moisturize and reduce visible signs of fatigue around the eyes. FLASH LIFT RADIANCE VIALS Quickly erase signs of fatigue, visibly smooth lines and wrinkles, while brightening your complexion. 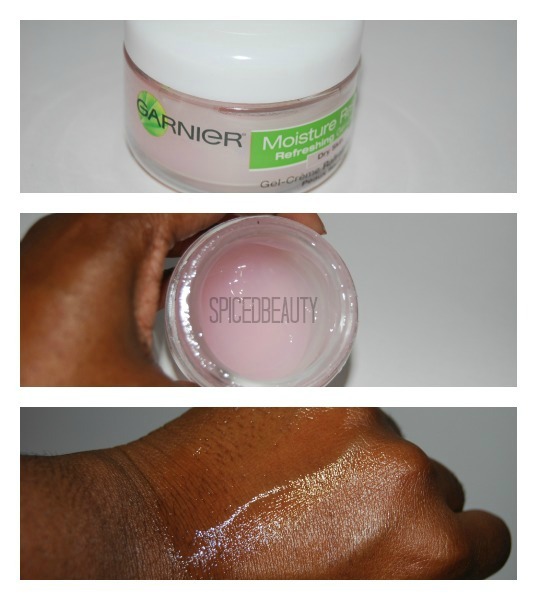 For instant lift and radiance, apply under or over makeup. VENT DU SUD Blending the sensual, feminine notes of passion flower, jasmine and rose with the warmth of an exotic fruit cocktail and the sweet, hot traces of amber, vanilla and wood-scented musk, Vent du Sud Eau de Toilette is your passport to the exotic. 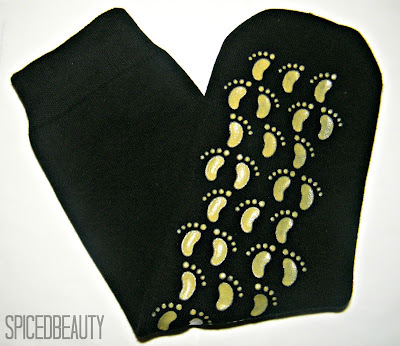 Help soften and hydrate cracked dry heels. These non-slip socks help to keep feet looking soft and moisturized to help repair chapped heels and toes ($29.99). Whenever I take them off, my feet are always super soft. I'll share what product I use with them in another post soon. This thick, rich formula is packed with Aloe Vera, Chamomile, White Willow bark and Calendula extracts($24.99). A little bit goes a love way and it smells so good! I should also add this for anyone who is looking for holiday gifts. The Shopping Channel has several Holiday Specials which is definitely worth checking out. They also have a payment plan which works on EVERY item.